Despite blowback to Amazon's HQ2 decision to come to New York, experts say the deal has the potential to be great for New York. It’s the largest economic development project in New York state history, bringing with it up to 40,000 high-paying jobs and billions of dollars in tax revenue. But when many New Yorkers and local politicians look at Amazon’s “HQ2,” they see the problems of Seattle. Critics have a growing list of complaints about the proposed $3.6 billion project for a second Amazon headquarters in the Queens neighborhood of Long Island City: It's being done with limited local input and will snarl the city's dilapidated subway system, they say, cause more congestion on the already slow-moving city streets, make rents and apartment prices spike, increase income inequality and lead to more homelessness. All while Amazon enjoys billions of dollars in incentives with limited regional oversight. The initial outrage toward the deal has not given way to quiet acceptance. On Monday, protesters entered Amazon’s store in Manhattan to voice opposition to the development. Many of the critics' fears stem from the reputation of Seattle, home of Amazon's original headquarters. As the company's success has skyrocketed (its market value hit $1 trillion in September, only the second publicly traded U.S. company to hit that mark), Seattle has struggled to adjust, with the city’s mayor declaring a state of emergency due to a growing number of people left homeless by rising rents and real estate prices. But while some similar problems are expected to crop up when HQ2 comes to New York, there's a big difference between the two locales. "New York is not Seattle," said Mitchell Moss, director of the Rudin Center for Transportation at NYU and a former Seattle resident. Moss noted that Seattle has limited mass transit in terms of its main urban area compared to New York. "It's an auto and bus culture," Moss, a professor of urban policy and planning, said. "New York is a subway city." It’s those very subways that have caused concern. New York’s struggling transit system, which has been a focus of rider outrage and growing political tension in recent years, provided a stark contrast to Amazon’s negotiations for a new helipad as part of its Long Island City development. Moss said those concerns have been overblown. "There is not a caravan of Amazon employees coming to occupy and jam the trains," Moss said, adding that Amazon employees living in the areas around Long Island City may end up occupying little-used lines. According to the terms of the deal, the first wave of Amazon employees, about 700 workers, will go to work next year in One Court Square, an existing office tower used by Citigroup. The bank will move about 1,000 of its employees currently there to another location. Amazon will then move in another 2,000 employees in 2020 while it builds its massive new offices, a process that is expected to take 10 years. The deal will also bring neighborhood improvements — a new waterfront park, a school and job training for residents of a nearby housing project, the Queensbridge Houses. But Amazon's takeover of the site also means fewer homes coming to the neighborhood. There had been plans for 5,000 apartments, including 1,500 units of affordable housing, in that space. Those units would have added to the area’s already considerable population expansion. Between 2006 and 2016, more than 11,500 apartments were built in the area, and thousands of other units are already under construction. Ari Ginsberg, a professor of entrepreneurship and management at NYU's Stern School of Business, said those developments had laid the groundwork for Long Island City to be prepared for an influx from the likes of Amazon. Regardless, some area politicians — many of whom had signed a letter urging Amazon to come to Queens last year — are opposed to the deal, saying the city and state cut them and their constituents out of decision-making and oversight. New York Gov. 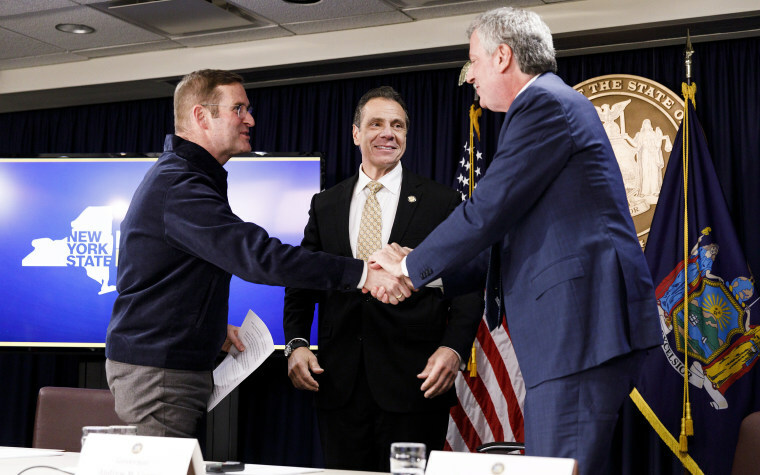 Andrew Cuomo and New York City Mayor Bill de Blasio said they used a mechanism, called a general project plan, in order to speed the process. That allows the state to make the big decisions on the site, while removing the more oppositional City Council from the process. Both have touted a proposed community advisory committee on the project, which would include state, city and local officials. Two politicians representing the area, state senator Michael Gianaris and councilman Jimmy Van Bramer, turned down spots on the committee, saying it's toothless. Its "purpose is to give local validation to a project we are working to stop in its tracks," they said in a statement. They and other opponents of the deal on the left and the right also took aim at the billions of dollars in tax incentives and grants Amazon is getting in the deal. Amazon’s publicity-filled HQ2 gambit drew plenty of attention, much of which has now backfired. The Queens development has emerged as something of a stand-in for the broader and sometimes bipartisan national backlash about corporate welfare and economic subsidies, spurred by growing skepticism around the lengths to which cities are going to attract business investment and the local impact of tech companies that now count as many of the largest U.S. companies. Ginsberg noted that the city and state aren't cutting Amazon a check — they're giving the company a break on state and city taxes it will be paying, money they wouldn't be getting otherwise. The state and the city say even with the breaks, the deal will create $27.5 billion in tax revenue over the next 25 years — a 9-to-1 payout on the investment. The professor noted the incentives were less than other cities had proposed to lure Amazon. Pittsburgh reportedly offered $9.7 billion and Newark over $7 billion. The incentive package is roughly in line with the amount Wisconsin kicked in to attract 13,000 FoxConn jobs last year. On average, those jobs will pay about a third of what the Amazon jobs do. The Queens tax incentives also come with a catch — they kick in when Amazon hits hits certain hiring and building targets. "There's an opportunity here to see the pro quo," Ginsberg said. "It gives some wiggle room on both sides." Amazon would be wise to consider making sure it is cognizant of the near-term optics so that its long-term investment pays off, the planning experts said. “If they're seen as making the quality of life better, that will make their investment one that will pay off in a much more tangible, smoother way,” he said.